The 5,000+ square foot gift shop at Flamingo Road Nursery features an amazing assortment of garden decor items including wall art, garden stakes and spinners, gnomes, tabletop fountains, exterior rugs, garden lighting, pet accessories, furniture, plant stands and over 1,000 wind chimes of every theme imaginable to meet any aesthetic taste. We also carry all the garden care products you’ll need to promote a vibrant landscape, including watering accessories, fertilizers, soils, insect control products, tools, gloves, and an extensive line of organic products for a healthier, eco-friendly garden! 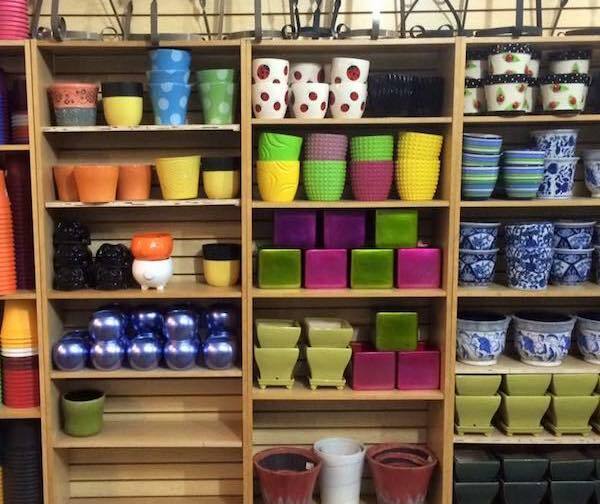 Flamingo Road Nursery has a beautiful garden center and gift shop serving residents of Davie, Sunrise, Plantation, Weston, Miramar, Hollywood, Pembroke Pines, Fort Lauderdale, and surrounding FL communities.